Utah Food Bank strives, through its work and its resources, to reduce the toll that hunger and poverty takes on so many children and adults throughout our state. Last year, Utah Food Bank’s Southern Distribution Center distributed close to 3.4 million pounds of food (that’s the equivalent of 2.8 million meals) to Utah’s seven southernmost counties: Beaver, Iron, Millard, Washington, Garfield, Kane and San Juan. Opened in 2011, the Utah Food Bank Southern Distribution Center also serves the Kanosh Paiute Mobile Pantry in Millard County and some small, underserved communities just beyond Utah’s southern border in Arizona. Historically, local pantries received fewer deliveries from Utah Food Bank’s Salt Lake warehouse, which required as much as a 12-hour round-trip journey, often on rough roads. Being able to offer a more localized outlet for food distribution has improved service quality, increased efficiency and improved coverage. 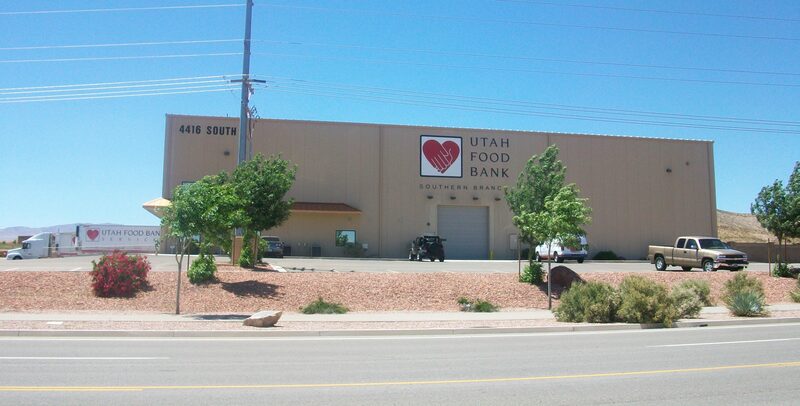 Through the Utah Food Bank Southern Distribution Center, 18 local pantries and other partner organizations in Southern Utah are now receiving products more directly and frequently from Utah Food Bank. Utah Food Bank Southern Distribution Center works closely with 23 local grocery stores and collected over 1.5 million pounds of fresh food last year through our Grocery Rescue program. Please contact Linda Trujillo at (435) 656-9122 or lindat@utahfoodbank.org.